Google was reprtedly working to bring the much-awaited ‘Scheduling emails’ feature in the Gmail app on Android. The rumor came into being last year and it pretty much died instantly with no further evidence popping out. And after almost a year later, the Android maker seems to be in great interest in finishing the job which they started last year. 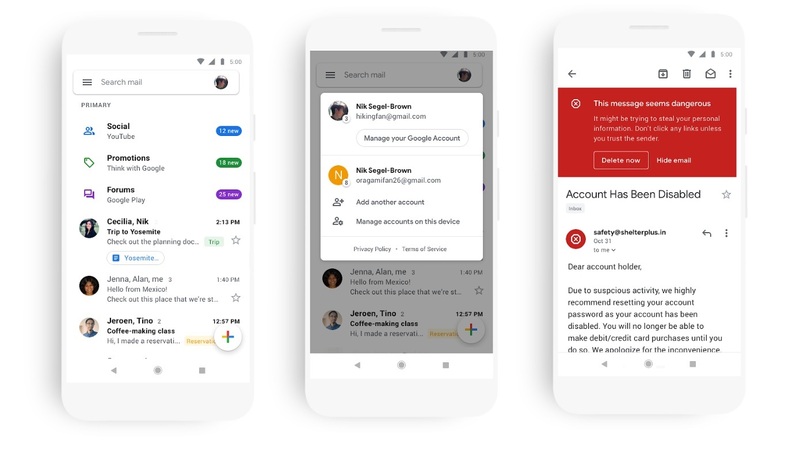 Upon the decompilation of the latest version of the Gmail app on Android, 9to5Google found pieces of evidence that point towards Google’s current development with the ‘Schedule email’ feature. And unlike before we know quite a lot about the feature. ‘Scheduling emails’ allows you to schedule an email for up to 50 years starting from the time of scheduling. The minimum is two minutes. You will also be able to cancel the scheduled email. And since this is Google’s cloud at work you will need to have proper internet connectivity to cancel the future delivery. Note, when Google will bring the feature to Gmail Android app is not exactly known and that means you should always keep your expectation low as Google can delay the feature for yet another year or so. And if the feature seems quite useful to you, there is an alternative to Gmail – Get Outlook for Android via Playstore and enjoy.